As you can see PostgreSQL has nicely created the schema for us and we are basically ready to go. In this example you can see that 90 milliseconds are burned to do the same thing. So why is that? Behind the scenes the foreign data wrapper creates a cursor and fetches data in really small chunks. By default only 50 rows are fetched at a time. This translates to thousands of network requests. If our two database servers would be further away, things would take even longer – A LOT longer. 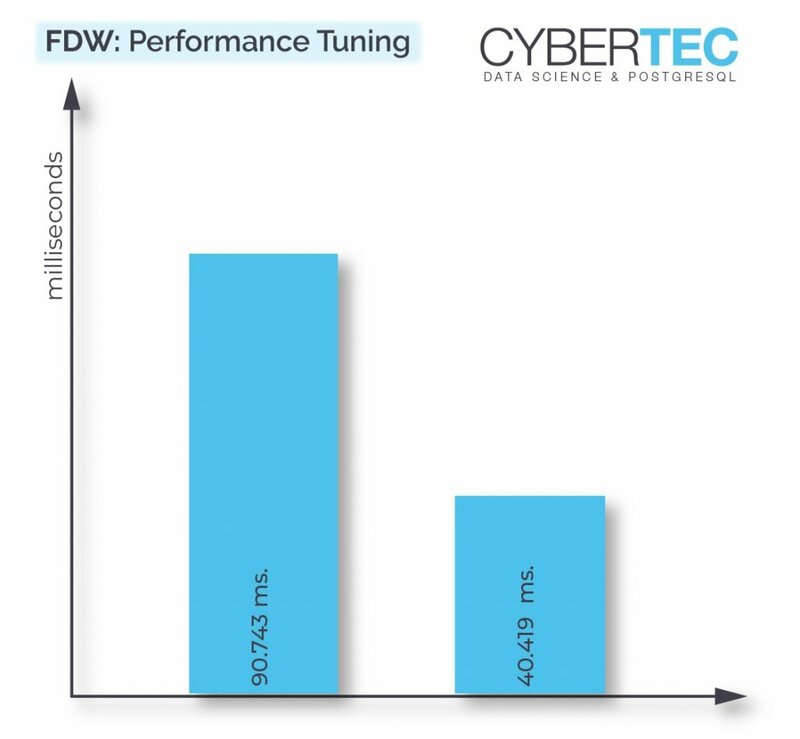 Network latency plays a crucial role here and performance can really suffer. Wow, we have managed to more than double the speed of the query. Of course, the foreign data wrapper is still slower than a simple local query. However, the speedup is considerable and it definitely makes sense to toy around with the parameters to tune it. If you want to learn more about Foreign Data Wrappers, performance and monitoring, check out one of our other postings.